SEPTEMBER 8, 2016 – Sony Music is proud to announce the release of The Wonder Of You: Elvis Presley With The Royal Philharmonic Orchestra, on October 14, 2016. This remarkable new album is the follow up to last year’s huge global phenomenon If I Can Dream: Elvis Presley With The Royal Philharmonic Orchestra, which topped charts in the UK and worldwide and sold over 1.5 million copies. 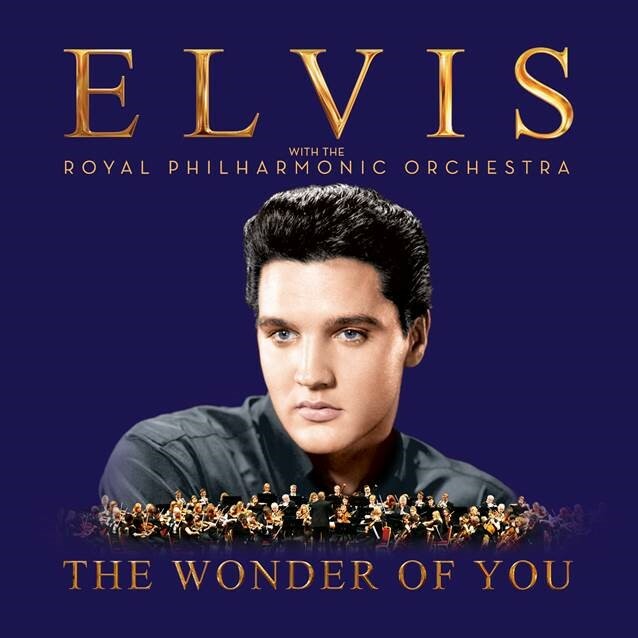 Multiple versions of The Wonder Of You: Elvis Presley With The Royal Philharmonic Orchestra will be available; CD, 150g gatefold 2LP, and digital formats. In addition, for completists a Deluxe version of the album will be released on December 2nd and will include a CD with two additional tracks, two 150 gram LPs in a gatefold package, a poster suitable for framing and a 12 page booklet, all housed in a beautiful 12”x12” lift off box.